The Rivers State Governor, Nyesom Wike, has accused the Federal Government of ignoring the Niger Delta Region in the schedule of visits by the Prince of Wales and his wife, the Duchess of Cornwall. According to him, the visit of the royal couple to Nigeria could have been another opportunity to bring the devastation in the region to the fore. 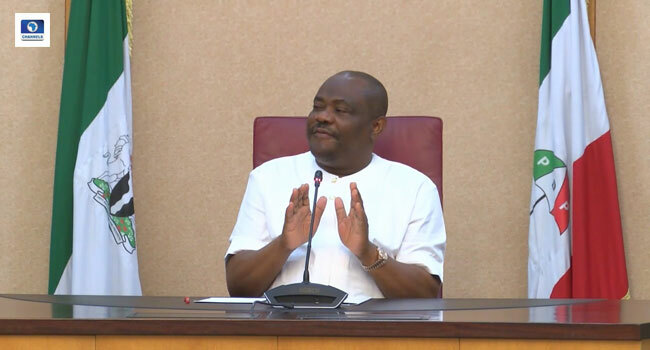 The Governor said this on Friday during a meeting with a group at the Government House in Port Harcourt, the State capital. He described the Niger Delta as the bedrock of the nation’s economy which he says should not be ignored. According to him, money generated from the region is what has been used to develop other parts of the country. “They don’t want them to come here to see those who produce the wealth of the nation and see how they are suffering. “They kept them in Abuja and Lagos. That is the country we are in. And then you say I should be happy. “I produce the wealth, you use it to develop the other areas and the Prince of Wales will come and he won’t see how we are suffering here? He won’t see the people who are producing the wealth of the nation. “It is our money that is used to develop Lagos. It is our money that is used to develop Abuja. But see where we are… Look at the traditional rulers that they brought, those who produce the wealth were kept at the back and you say we are one country,” Wike said.